Left adrift by mainstream gambling-news outlets in recent weeks was a well-researched piece by ESPN into the high-profile Paul Phua “wire room” illegal sports-betting case which was ultimately dismissed by a Nevada judge earlier this year. While many industry outlets were all over the gambling and poker-world connections that proliferated within the tale of the busts of Asian gambling whales Phua and Richard Yong, it wasn’t until the ESPN feature (“How the world’s biggest bookie was snared at last year’s WSOP — and walked a free man“) that a fuller background of Phua emerged — providing with it a better picture of why US authorities wanted Phua so badly. That said, despite its relatively complete painting of the Phua case, the story missed on at least a couple of details. But don’t let that detract you from the greater truth of the ESPN story: Free or not, Phua is no one’s sports-betting hero. For those not familiar with the basics, Phua, Yong and seven other individuals were arrested following a raid on three Caesars Palace Las Vegas guest villas that casino officials and state and federal authorities were believed being used to run an illicit “wire room” operation that took as much as $400 million in betting action from the huge Asian online-gaming market during the 2014 FIFA World Cup. Phua, a Malaysian national, had himself just been arrested (and released, with some news reports claiming he was “deported”) from Macau on similar illegal sports-betting-operation charges. Several of the other people eventually arrested had already been in Las Vegas, where Phua eventually joined them in, and where two of the three exclusive villas occupied by the group had been outfitted with extensive, high-tech Internet service at the group’s request. There’s little doubt that the Caesars Palace was exactly what the state and federal authorities claimed it was — an illegal sports-betting scheme being operated by Phua’s IBCbet company (which has since been renamed MaxBet). There’s also little doubt that the investigative agencies involved exceeded their legal authority, which created the technical loophole, a Fourth Amendment privacy-rights violation, that eventually allowed Phua to walk free. Where the excellent ESPN feature fit in was by fleshing out Phua’s background, explaining how the Department of Justice came to proclaim that Phua was a “leading figure” of the 14K Triad, an Asian organized-crime ring that allegedly specializes in illicit gambling business. Whether or not Phua is or isn’t triad is one of the open questions of the whole story. The ESPN story revealed to its audience that the connection between Phua and the triad began when Phua was photographed at dinner with Broken Tooth Koi, the 14K Triad’s head, immediately upon Koi’s release from a Chinese prison. Which, of course, is like winking and nodding knowingly and saying, “Maybe!” Phua and Yong are also among the Macau and Hong Kong regions most profitable junketeers, the people who put together and finance trips to the region’s casinos on behalf of Asia’s wealthiest gamblers. That same junketeering industry is every bit as rife with triad connections and influence as the illegal sports-betting business in which Phua was also allegedly involved. It’s also, to complete the circle, Mainland China’s ongoing, years-long crackdown against the junket network that has resulted in the sharp decline in Macau’s casino industry; that region’s gross gaming revenue has declined by nearly half since China’s crackdown began over three years ago. Given that entire framework, it’s hard to believe that Phua and Yong were innocent of running teh wire-room operation at Caesars, not even mentioning that the reason Phua was late in arriving there was because he attempted, but failed, to establish yet another backup wire-room operation in London at the same time. And as for that Macau arrest, and the subsequent invitation to quickly leave the country. ESPN missed one key detail: Years ago, Phua had purchased himself a paper ambassadorship, as San Marino’s “non-citizen” representative to Montenegro. The purpose being, naturally, to try to claim diplomatic immunity in such international legal scrapes. Macau told him to get out (which means the ploy sort of worked there) and the Americans scoffed at the toilet-paper ambassador, as they rightly should have, not that that mattered much amid the Caesars Palace case’s larger legal problems. Yet if there’s a great, great value to the ESPN feature, it’s the deep delving into Phua’s background, exposing to the mainstream that the so-called modest 51-year-old isn’t really worth the gambling world’s respect. Phua was once just another small-time gambling operator, until 1997, when he and a couple of others were widely alleged to be the forces behind an infamous English Premier League Football match-fixing scheme. In an episode called the “Floodlights Affair,” two Premier League matches (West Ham United versus Crystal Palace, and Wimbledon vs Arsenal) were canceled mid-match after a group with inside connections arranged for the light to go out. Four people, including two Malaysian nationals believed to be working for Phua, were arrested when the group tried but failed to rig a third match year, between Charlton and Liverpool. Yet Phua and his group had already made their financial killing, betting on international sites with different rules for wager resolutions on “interrupted” or “incomplete” games. The group profited at least several hundred thousand dollars from the match-fixing, and it was that newfound fortune that Phua and his partners used to found what became his farflung IBCbet empire. Phua was never named in the official British investigation but the trail led to him, regardless. 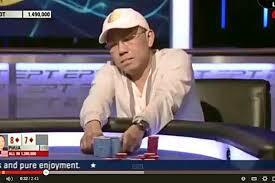 “Paul Phua financed it,” a Phua associate stated, for the ESPN piece. Which is why Paul Phua should be no one’s hero, whether or not the Caesars Palace case was ill-executed by US investigators. Match-fixing is supposed to be the cardinal sin above all else within the sports-betting world, the reason why the activity continues to be viewed as criminal and struggles to be legalized in the US and Canada. In an odd coincidence, both of 2014’s major illegal sports-betting cases in the US featured prominent game-fixing connections. In the New York-centered series of arrests focused on former WPT winner Vadim Trincher, the only still-at-large indicted figure in the case is Trincher’s alleged boss, Alimzhan “Taiwanchik” Tokhtakhounov. US authorities allege Tokhtakhounov is a major Russian organized-crime figure dealing in, among other things, illegal weapons. More to the point, for this piece and the comparison to Phua, Tokhtakhounov has been wanted for years on charges of fixing the pairs-skating event at the 2002 Salt Lake City Winter Olympics. Tokhtakhounov’s no hero, either. Nor is Trincher, who currently sits in prison after pleading guilty to several charges in that other prominent case. The point being, it’s okay to understand that the decision by the Nevada court to dismiss the charges against Paul Phua was rightful and proper, even if it means that US authorities lost their chance to auction off Phua’s pricey $48 million Gulfstream jet. Phua wasn’t innocent, but he couldn’t be found guilty, and that’s the way US law is supposed to work. It doesn’t mean that Phua isn’t garbage. He might be wealthy, but wealth doesn’t deserve its own respect.